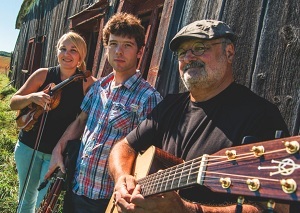 The Sophie & Fiachra Trio are a group of musicians sans frontières who refuse to let the Atlantic sunder their love of their own and other’s Irish and Québecois musical traditions. Comprising of Irish uilleann piper Fiachra ORegan, Québec fiddler/singer Sophie Lavoie, and guitarist André Marchand, the trio take traditional Irish and Québécois traditional music, blended with Lavoies lithe and masterful compositions. Their choice of songs will “captivate the most casual listener”. 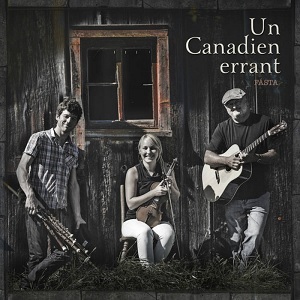 Released in 2016, Un canadien errant features a mixture of Irish & French-Canadian traditional music and song. It has been nominated for Traditional Album of the Year for the ADISQ awards in Quebec and Traditional Album of the Year in the Canadian Folk Music awards. In the latter, the album also gets Sophie Lavoie a nomination for Best Trad. singer of the year for her vocal tracks. We are incredibly fortunate to have 2 world renowned masters coming to Corvallis! They bring a detailed tapestry of middle eastern rhythm, accented with Yemenite and Iraqi overtones, and spiritual melodies to take you back to the desert. 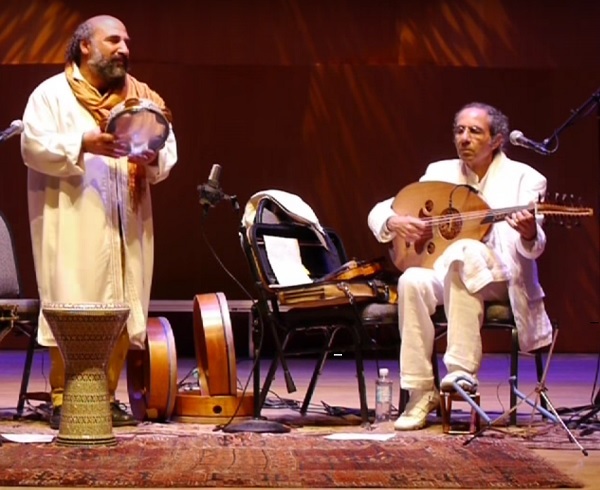 Travel back in time to see Yair Dalal and Dror Sinai, performing their Piece of Peace concert at the Unitarian Church in Corvallis! Yair Dalal, international Israeli composer, violinist, oud player, singer and teacher, comes to us by the way of Israel, with Iraqi origins. A prolific ethnic musician, he has recorded 14 albums, playing an important role in shaping the world global music scene. Much of Dalal’s work reflects his extensive musical skills in classical European, jazz and Arabic styles. Besides his musical endeavors, Dalal is a peace activist, devoting much of his time and energy to building bridges of understanding and creativity between cultures, most notably between Arabs and Jews. Dalal has won several Israeli and international awards for his contributions to Israeli music. Dror Sinai will transform you, as his melodic drumming blends into song, and creates a wonderful world of healing rhythm. Dror will play the riq, darbuka, and frame drum with his Israeli-Yemenite roots. Dror Sinai is an international performer, educator, leader, healer, and energy facilitator. He is the founding member of the World Music Committee for the Percussive Art Society. He presents lectures, clinics, retreats, and workshops to diverse audiences including schools, universities and Jewish Communities. He resides in California, where he teaches drumming and performs locally. He leads tours to Morocco, where he also performs and shares his musical gifts. Dror encourages personal development, World peace and life enhancement while focusing on making the world a better place. As the sixth generation of his family to bear the title Araki Kodo, Hanz (short for Hanzaburo, his great-great grandfather’s name) spent his formative years mastering the Japanese end-blown bamboo flute. 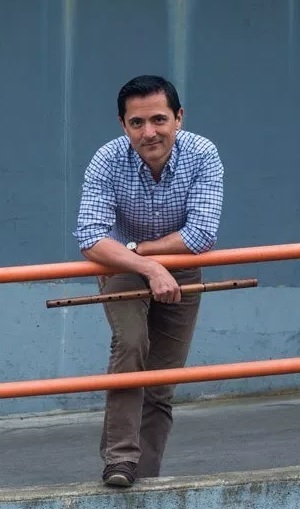 Discovering and relishing the melodic and mechanical similarities between shakuhachi and Irish whistle, Hanz applied his natural capacity and boundless curiosity to his Irish heritage. Taking advantage of the rich Irish music scene in Seattle, where he spent his youth, Hanz quickly became known for his exquisite instrumental work on both Irish whistle and flute and a haunting singing voice that was born to tell tales. Over the years, Hanz has released 11 albums, including 2014’s critically acclaimed Foreign Shore. Festival appearances include the Austin Celtic Festival, the Maine Celtic Celebration, the Missoula Celtic Festival, KVMR Grass Valley Celtic Festival, Milwaukee Irish Festival, Bumbershoot, Celtic Connections, and over 20 years of performances at the Northwest Folklife Festival. Hanz has also been invited to perform with the Seattle Symphony, at the Gates Estate, and for the Japanese Consul General.